← Cylinder Shaped Orange Objects ZigZag & Zip Away. 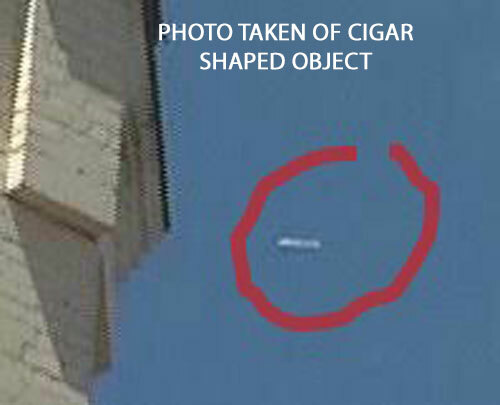 PHOTO OF WHITE CIGAR SHAPED OBJECT. Description: The witness sent this photo of a white cigar shaped object. He did not elaborate on what he saw. This entry was posted in cigar-shaped, Photos, UFO Sightings Ukraine, Unidentified and tagged White. Bookmark the permalink. One Response to Photo Taken of White Cigar Shaped Object. That’s an airplane. You can see the wing shadow near the center of the fuselage. I see this almost daily under an airport flight path.